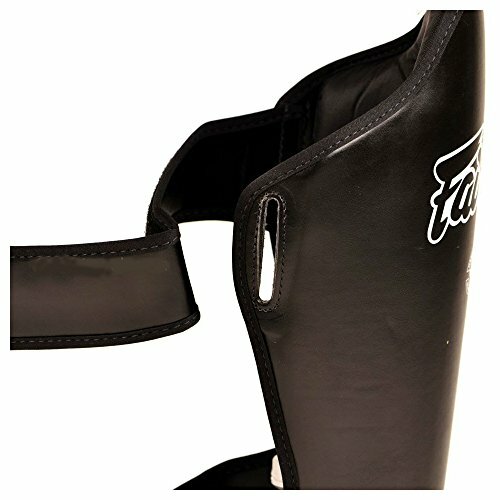 These shin guards provide almost absolute protection and provide healthy contact while throwing kicks at training partners. The double layered foam core provides great support from high impact strikes which you will come across while using these during sparring. Dual layered foam based padding provides optimal protection without being flimsy or too ‘soft’ meaning that although the padding is comfortable it provides heavy resistance from heavy strikes. I’ve found that kicking with these feels natural and doesn’t feel like you a wearing literal bricks on your feet. The padding itself is very easy to clean and does not attract heavy odors so you can go home without your training bag smelling awful, which your training partners will appreciate. My training partners have also mentioned that my SP5’s provide slight protection when sparring as the rounded surface of the guard disperses the full impact of my strikes. These are by far the most comfortable shinguards I have ever owned. The foot and ankle strap keeps the them in position without causing irritation on the back of your feet or legs. The fastening straps are heavily adjustable and should fit most leg shapes and sizes. 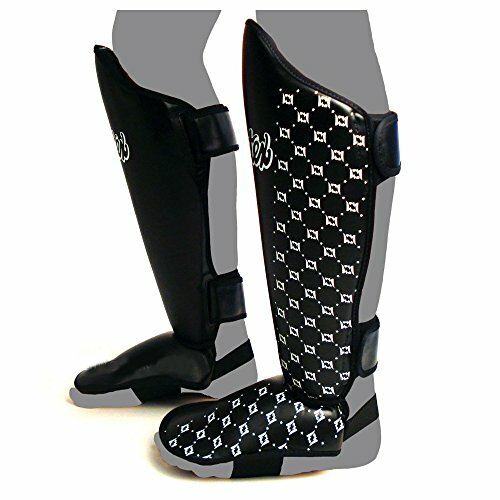 The straps are secure however your legs are still provided with great ventilation due to the open back of the guards. 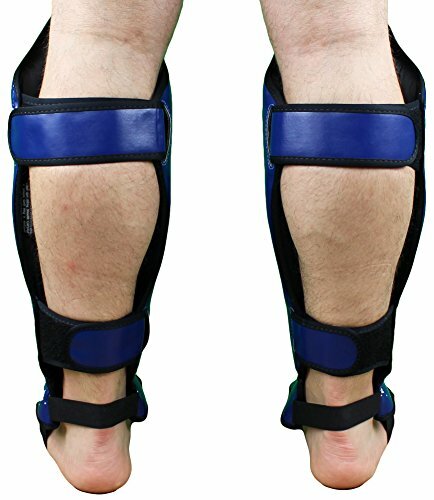 The ergonomic shape means that these will securely wrap around your shins for a magnificent fit. Moving around in these is a very easy task as they effortlessly stay in pace even while throwing kicks at high speeds. 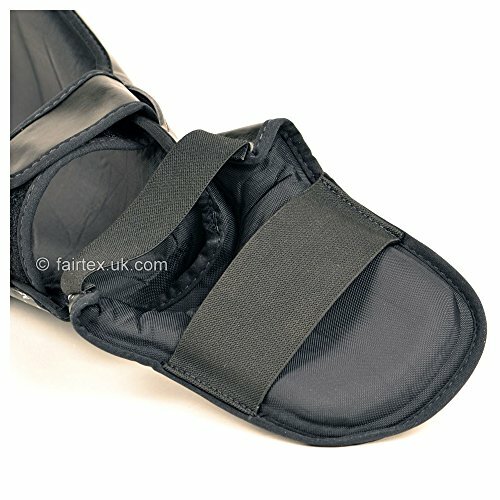 The velcro straps are designed carefully to ensure that it does not cause chafing on the skin. 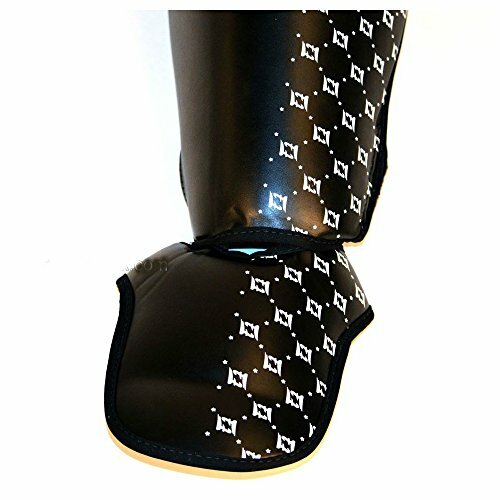 The connection between the foot protector and the shinguard is very comfortable on the feet due to the stitching free connection and open design. This means that your footwork/ movement is not restricted while sparring. Durability is always a big factor when purchasing shinguards as you will want to make sure that your gear will be resilient enough to handle your chosen contact sport. Due to this factor they have to be extra durable and these are just that ‘DURABLE’. 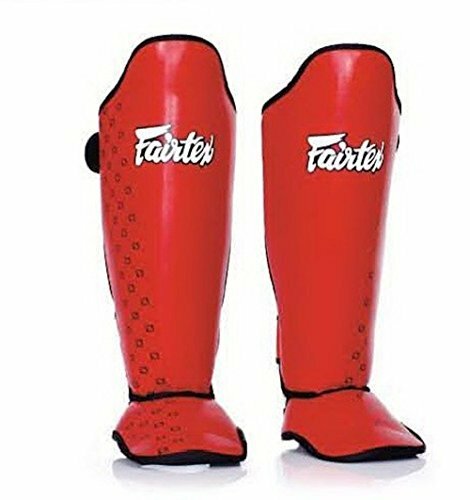 I have been through countless hours of sparring while wearing this product and they have held strong, although there some minor scuffs the overall products is still as solid as when I first purchased them. 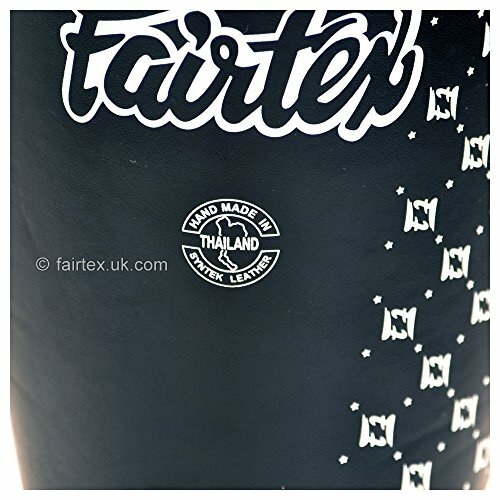 When it comes to quality you cannot go wrong with Fairtex, being a world-renowned brand for Muay Thai their standard of product is very high. The built quality is top notch from the shape of the guards that fit the contour of your shin to the super strong velcro straps. 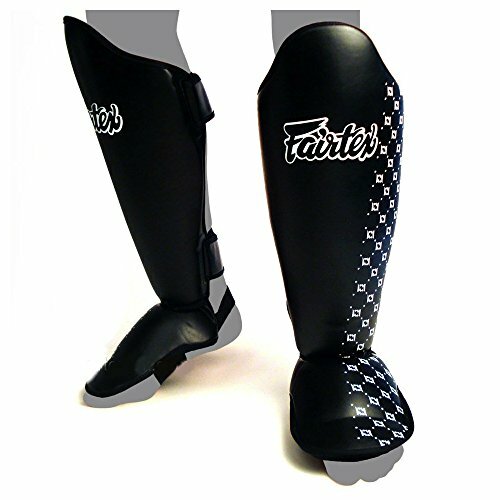 These Fairtex SP5’s are the embodiment of quality and are an absolute pleasure to wear. My one minor negative is that the velcro, which is likely wear out overtime but this is present in most velcro type of fastening straps. The guards themselves are made of Fairtex’s durable syntek Leather with double layers of high impact foam core which provide fantastic comfort and protection. The use of durable cotton stretch jean lining is used to prevent slipping meaning you won’t have to constantly readjust your gear during training which is a major issue with gear today. 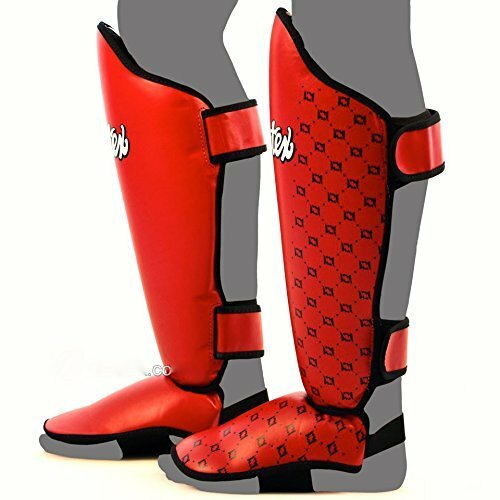 It comes with soft lining and a stitching free open design between the shinguard and foot protector to ensure that there is no irritation between your foot and shin. This comes free from the use of a metal strap loop which may become very hazardous while sparring with others, this also qualifies them for major events to be used in amateur competition. 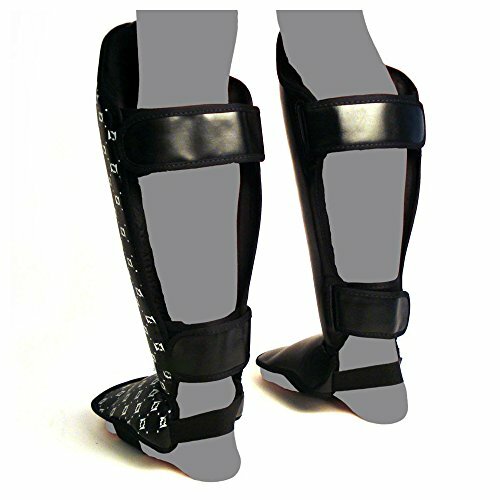 The Shinguard itself has been ergonomically designed to attach to your shin as much as possible for secure feel with extended side and top protection. The velcro on the straps are carefully positioned and there is no excess velcro overlapping resulting in a professional looking finish. I purchased these for around £53 online and I must say for the for the price you cannot go wrong. 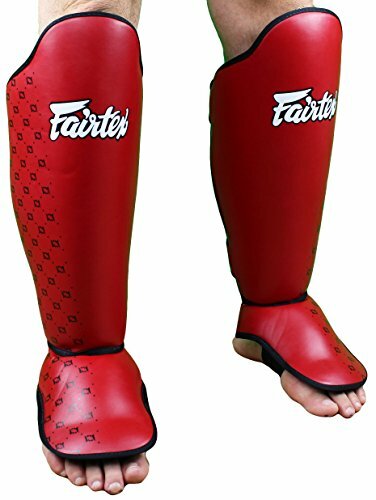 There are not many brands out there that can match Fairtex’s price/quality ratio and that is why I will be purchasing from them in the future. The mix of quality and comfort at a reasonable price makes these competition guards one of the best available out on the market today. 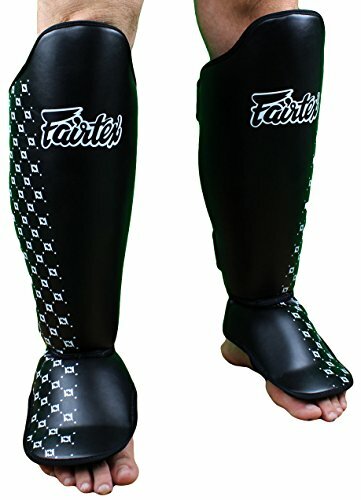 Fairtex doesn't disappoint with this reliable piece of equipment and maintains its reputation for high quality combat sports equipment. Overall this is a fantastic piece of gear for training and is one of my personal favorites. I would recommend this product to anyone looking for good quality guards for MMA or Muay Thai training. 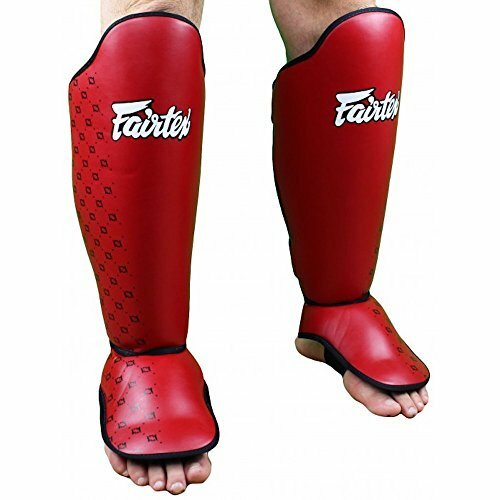 GeneralGreyson purchased this pair of Fairtex SP5 Shin Guards himself for the full price. This did not influence the outcome of this review. Currently training in Mixed Martial Arts for over 3 years.